Bright lights and big cities. They’re attracting more and more American Indians and Alaska Natives (AI/ANs) to move toward urban and metropolitan areas at an ever-quickening pace. Just before World War II, almost all – some 92% – of AI/ANs lived on reservations. Now it’s nearly the opposite, with almost 80% of AI/ANs living off tribal lands. The push toward the cities was not always a voluntary one. After decades of removal policies and war aimed at fighting and slaughtering AI/ANs, the federal government’s approach turned into one of “killing the Indian, but saving the man.” This meant programs aimed at ‘educating’ AI/ANs in order to assimilate them in the broader American culture. 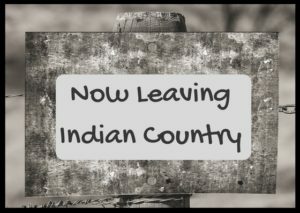 Such attempts brought the brutality of boarding schools, de facto kidnapping of AI/AN children to be sent to non-AI/AN “foster homes,” and after World War II – the Bureau of Indian Affairs’ relocation programs. These programs promised AI/ANs economic opportunity through jobs not available on the reservations and help finding housing in the big city. They also promised those willing to go in search of a better life $80 a week for the first month to help them get started. What awaited those who did go was confusion and often a complete lack of support – finding few or no jobs, no housing, and sometimes no money. Ultimately, the programs of the 1950s and other factors led 750,000 AI/ANs to leave their homes behind for a new life in the city. Fast forward 50 years, and the majority of AI/ANs call cities their home. Despite the fact that times have changed – and the needs of AI/ANs along with them – the services available to urban AI/ANs are insufficient. Today, the Indian Health Service (IHS) spends just 1% of its budget in support of the 34 Urban Indian Health Organizations that exist nationwide. With so many AI/ANs reliant on services provided by such limited funding and through such restrictive delivery channels, the need for change is pressing. But because that change is slow or nearly non-existent, many AI/ANs – the Elders and the young alike – are being “forced” to move in order to access the services and opportunities that cannot be found close to home. But it’s not only the services which may be lacking in big cities. AI/ANs are also removed from their homes – their families, friend, cultures, traditions, beliefs, and sacred lands. With the rolling tide of migration to the nation’s cities, what will it mean to be AI/AN? How will tribes, nations, pueblos and bands be changed by the movement of our peoples? To explore this topic in greater detail, please refer to the full article Indian Country on the Move.